International Conference on Information Engineering, Management and Security 2016 (ICIEMS 2016) happened this March 16 & 17 at Angel College of Engineering and Technology Thiruppur. The conference aim was to provide a platform for researchers, engineers, academicians as well as industrial professionals from all over the world to present their research results and development activities in Engineering Technology, Industrial Engineering, Application Level Security and Management Science. This conference provides opportunities for the delegates to exchange new ideas and application experiences face to face, to establish business or research relations and to find global partners for future collaboration. 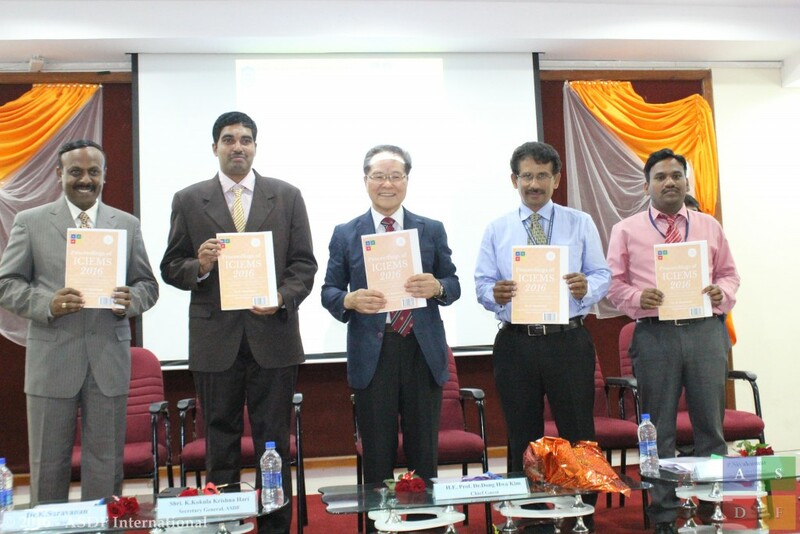 Prof. Dr. Dong Hwa Kim presided over the event and released the proceedings of the Conference. Alongside Dr. K. Kokula Krishna Hari, Secretary General of ASDF International, Dr. P. Sivakumar, CEO of Angel College of Engineering and Technology, Dr. K. Saravanan, Principal of Angel College of Engineering and Technology witnessed the event.